One of the toughest things for me to gauge when I first started teaching was when to send students to the principal. Is it better to be perceived as ‘not a bother’…but suffer in silence through a tough year? Or should you engage the authority above you as a resource to aid you with getting thorough to a difficult child? I tend to err on the side of not wanting to give up my autonomy too early in the year…which means that some things I have to bear for a while. Here are a few things that I consider in the days and weeks before I engage administration. This is one of those ‘cruel yet true’ facts that most principals will NOT tell you to your face, but they CRINGE when they get a page from you. 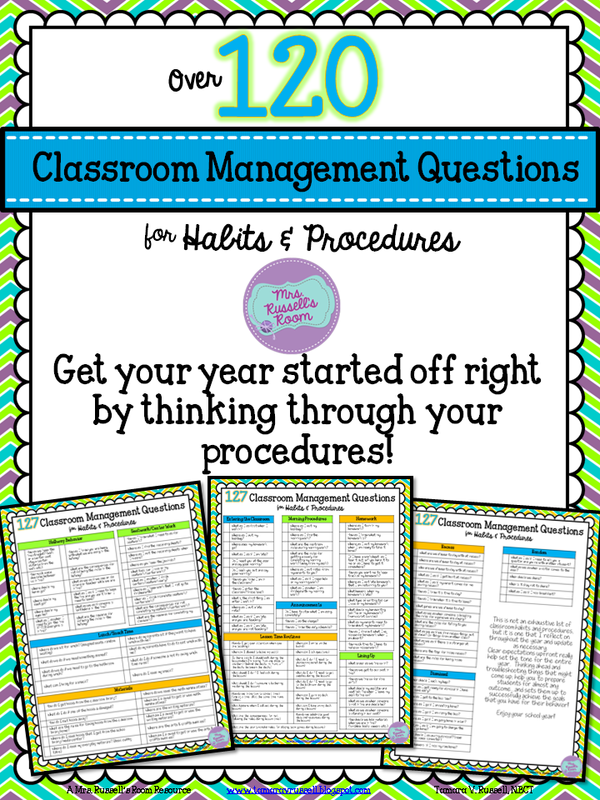 There are a myriad of classroom behaviors that…no matter HOW ANNOYING are NOT office worthy. 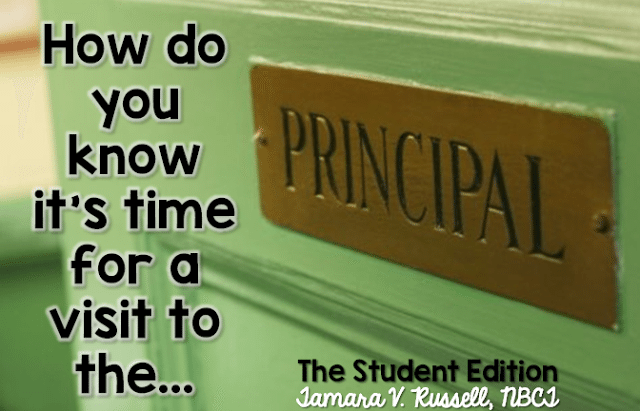 Talking, noise making, homework completion, distracted behavior…I could go on and on. By February, you’re about to pull out your hair and you want them out every time they get on your nerves. I get it. I have been there. But, let me tell you what I learned. When I took the time to think about what got on my nerves the MOST about my students…90% of it were things I’d never really given them a procedure for. When I don’t tell them what I expect, they do what makes them comfortable. They test out several different things as they try to figure out what you want…and more often than not…the journey to them figuring it out is a winding path that leads to your pressure going up. Want my management questions? Click HERE. This was one of the things I put on my list. Now, I have a little basket where the late passes go and I model for them what I want them to do if they have a late pass and I’m teaching. I model what to do if they have a late pass and I’m in small group. I even model what to do if it seems that I’m not busy at all and they have a late pass. For each example, I would prefer a different approach. Now that they KNOW that…they try to please me with it every time. It’s a beautiful thing! My management list has helped me TREMENDOUSLY. 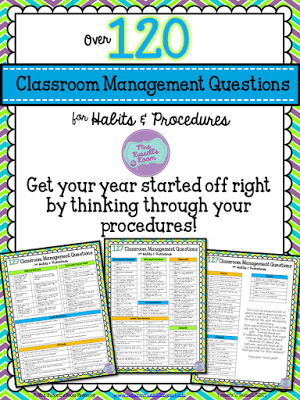 I go over it before each year to refresh my memory on all the different habits and procedures I need to go over with my kidlets so that we have a happy community…and a SANE teacher. 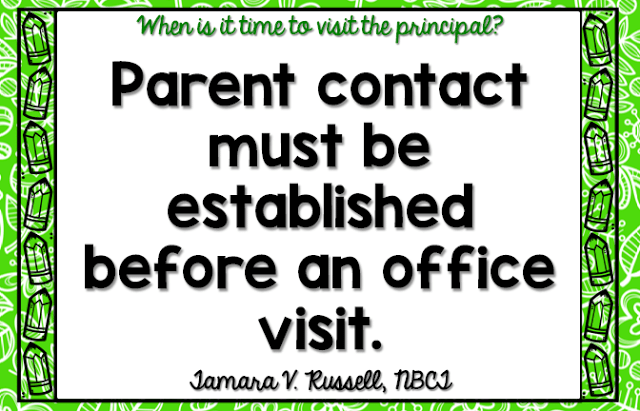 I don’t think its fair to a student that they be sent to the office without parent contact–FROM A TEACHER. I can tell you that it will also go a long way with your principal as well when there’s documented evidence of you attempting to work things out with the support of a parent. 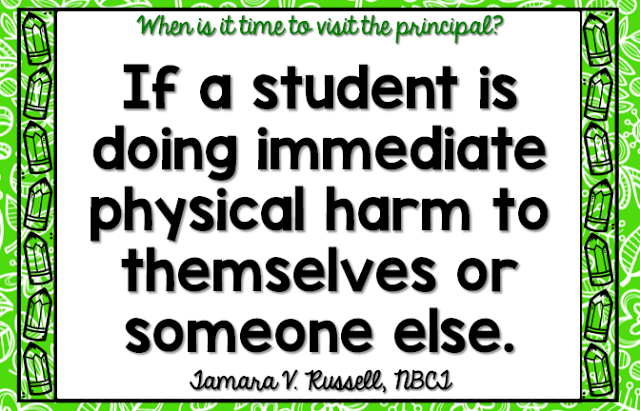 When both the parent and the teacher are on the same page about discipline and the principal calls…there is a completely different tone in the conversation. 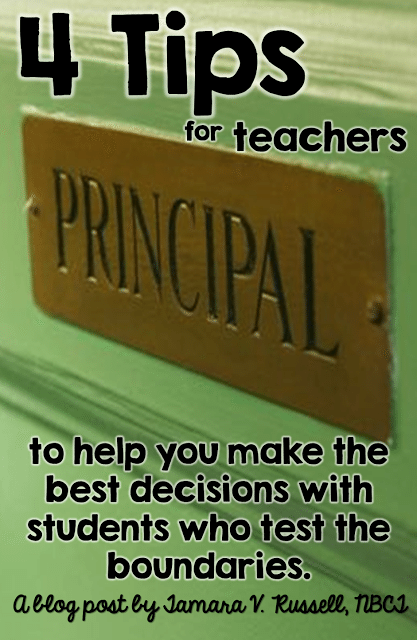 A principal can tell which teachers are trying to work with parents as an asset and which try to bypass the parents because they are an irritant. When I say diverse, I mean completely different. When I am trying to modify a behavior, I might try a token system, a behavior contract, a note home, a cool down area, etc…I try at LEAST three different things over the course of several weeks. 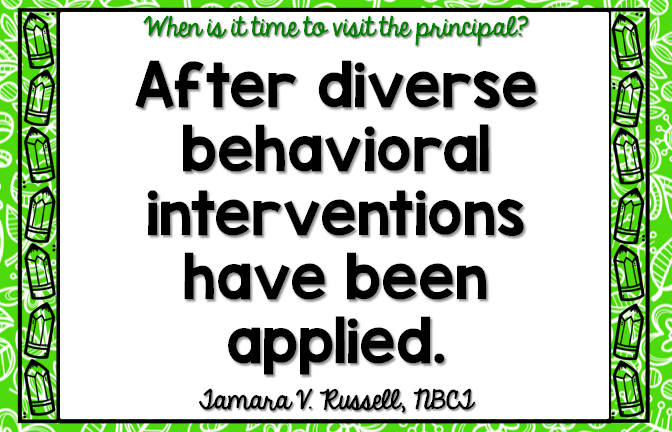 Each intervention lasts about a week. I honestly reflect and say…were you consistent? 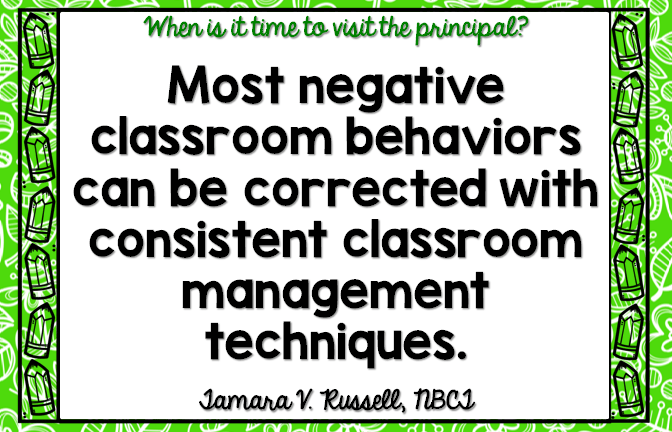 Did you reinforce positive behavior? Did you get a reward going that the student really WANTED? Throughout the process, I’ll contact a parent and let them know that I’m trying a variety of things to correct the targeted behavior. I focus on ONE thing that I want to improve on. No matter how naughty a kid is. One thing at a time keeps me SANE. It is also easier on the parents and they don’t feel like I never say anything nice and there’s only a laundry list of HORRIBLE going on with their kidlet. It is rare in my gen ed classroom for this to happen, but…over the years, it has indeed happened. 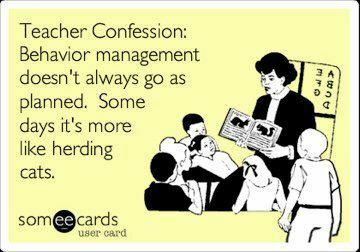 I’ve had students throw chairs or hit their heads repeatedly on a desk or wall. These behaviors in my case were indicative of other more weighty things that required the students to be placed in alternative settings.